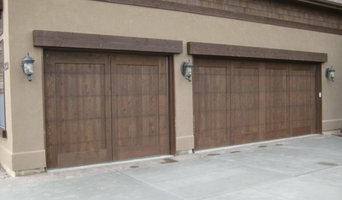 We have been in the Boise area servicing and installing garage doors and operators for over 50 years. Our skilled technicians at Garage Essentials provide prompt and courteous services to the highest standards of quality. To ensure the durability of our work and the satisfaction of customers we use quality products that were made in America. Whether you are decided on a style and material or not, talking to a professional from a Boise, ID garage door company or garage builders is always advisable because they will know more about the functionality, prices, durability and installation process than anyone else. You may find that you can find a garage doors repairer or installer through another professional, such as a building contractor or architect. Here are some related professionals and vendors to complement the work of garage doors: Cladding & Exterior Contractors, Doors, Home Builders, Design & Build, Artists & Artisans. Find garage door professionals on Houzz. Narrow your search for a Boise, ID garage door company or garage builders by entering your nearest city or postcode. Look at portfolio and product photos, and read reviews to find the best garage door professional for your home.